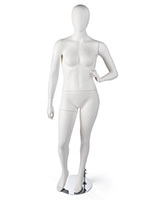 This abstract female fiberglass mannequin is an eye catching retail fashion fixture. 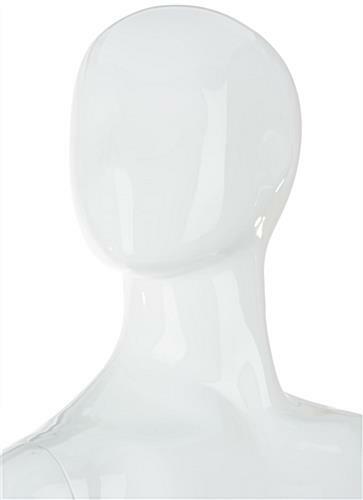 With a white glossy finish and no facial detailing, this ambiguous dress form will display your women’s apparel with elegance. 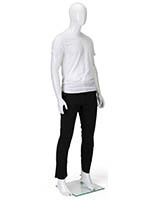 Remove the fiberglass mannequins arms, hands, torso and leg easily for hassle-free changing of clothes and positioning. 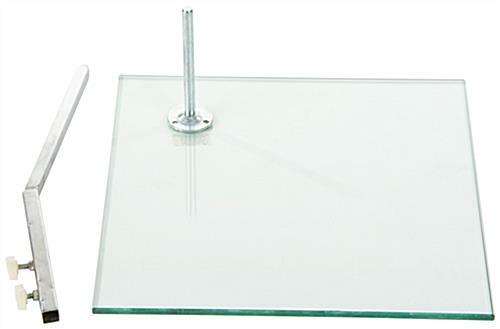 A tempered glass base has a heel rod and an adjustable calf rod, providing two options for the way the dress form can be mounted to the base. 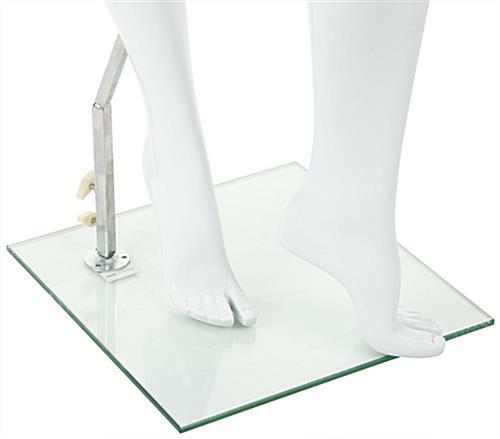 Setting up an eye catching fashion display is so easy thanks to this glossy fiberglass mannequin! 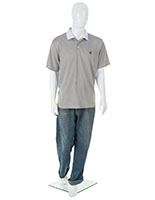 Complete your ensemble of apparel forms with this or any other of the products in this line! WARNING: This product can expose you to Glass Wool Fibers, which is known to the State of California to cause Cancer. For more information go to www.p65warnings.ca.gov.